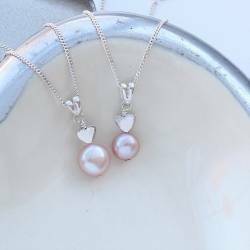 The iridescent pearl creates a subtle shimmer and is complemented by the dainty heart charm and link chain, which comes in either sterling silver or gold fill. 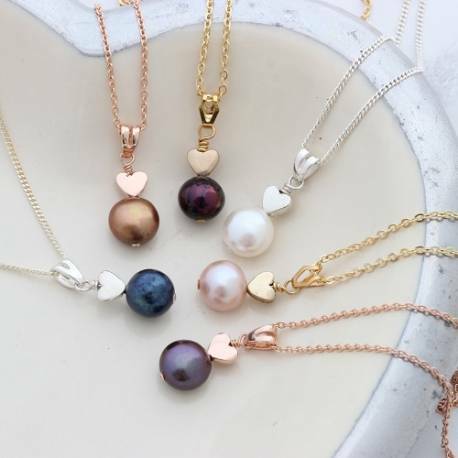 The freshwater pearl and charm are handwired, giving the necklace a high quality finish. The pearls are available in white, pink, gold, blue, purple and peacock. The timeless and delicate necklace will look perfect worn with occasion wear, making it the perfect gift for bridesmaids. The romantic heart design also makes it a thoughtful gift to give your loved-one, either for Valentine’s day, or a special anniversary. Your pearl pendant will be presented in a stylish matte black gift box and finished with an ivory satin ribbon. This service is completely free of charge. 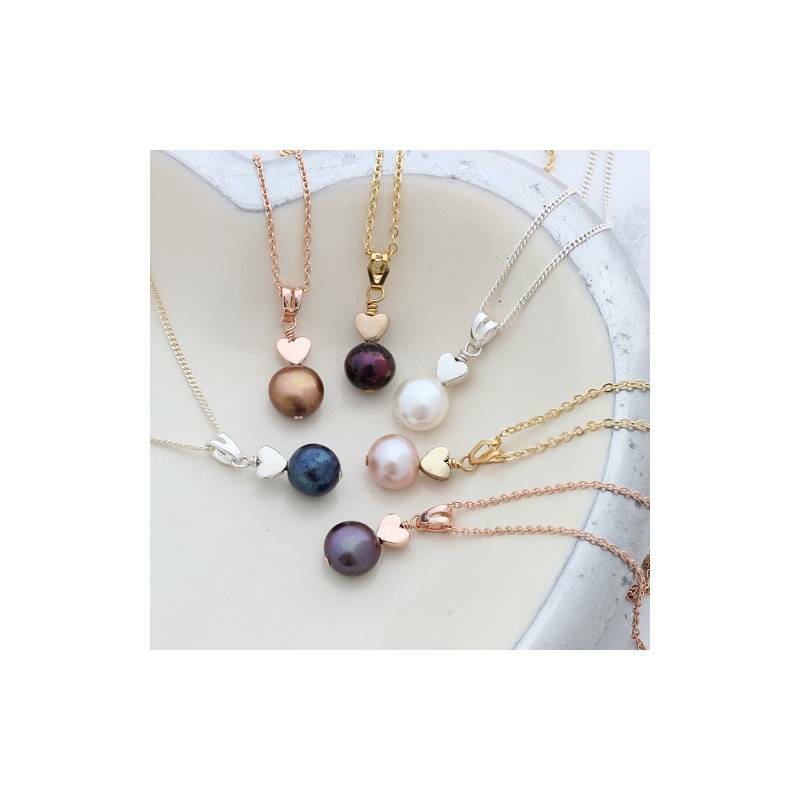 Sterling silver or rose gold plate, gold plated and freshwater pearls. The pearl is approx 9mm and the pendant hangs approx 2.4cm from the chain.